A River Runs Through It! 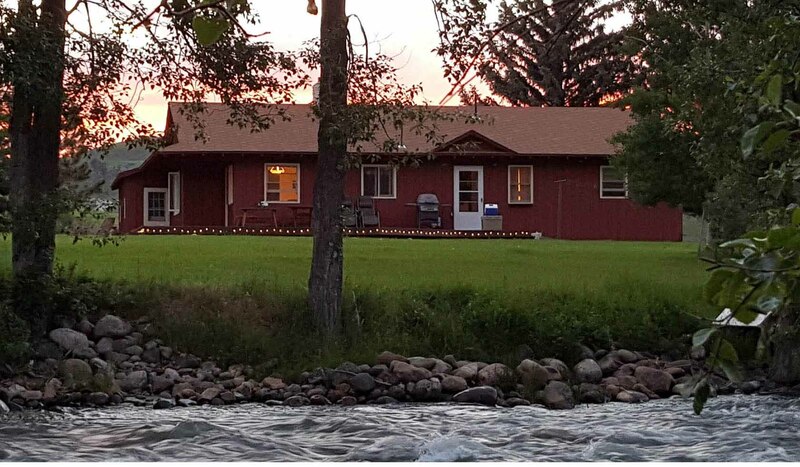 The Montana Guest House is ideal for families or groups of friends who want a rural location with gorgeous views and lots of space. The house is comfortable, well furnished, with two bathrooms and room to sleep six. The features our guests really enjoy is the large wrap-around deck and the propane gas grill. The views of the Beartooth Mountains and the East Rosebud River are feasts for everyone. Young and not-so-young can enjoy hiking, fishing, shopping, riding, rafting and lawn activities. The ranch is large enough for peaceful roaming, yet close enough to Red Lodge for shopping and browsing. Many guests enjoy dining at the Grizzly Bar in Roscoe. For a weekend getaway or a two-week stay close to Yellowstone, the Tetons, and Little Bighorn, the Montana Guest House appeals to everyone.